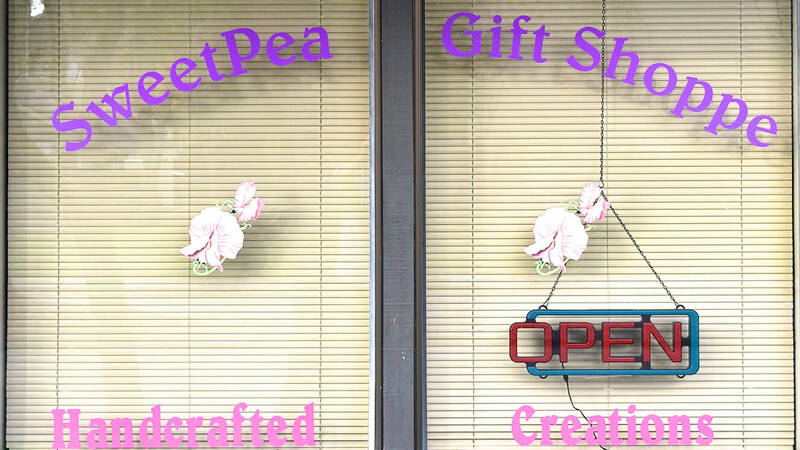 Established in 1987, SweetPea Gift Shoppe is a cornucopia of handcrafted treasures by local Sonoma County Artisans. If you are looking for that unique one of a kind gift for yourself or someone special this is the place to come. We have a little bit of everything for any age. Sweaters, blankets, quilts, bibs, booties, dolls, cloth books, stuffed animals, hats, purses, totes, hair bows, diaper bags and specialty items. Aprons, table runners, tablecloths, towels, pot holders, candles, floral designs, pictures, cork creations, bags, pillows, canvas paintings, quilts, decorated boxes, pottery and fused glass. Scarves, hats, blankets, pillows, jewelry, etc. for your favorite teams. Necklaces, bracelets, key chains, lockets, bookmarks for adults and children. Scarves, sweaters, gloves, hats, afghans, slippers, purses, baby items. Hand crafted bowls, cutting boards, toys, candle holders, and wood puzzles. A unique variety of cards for all special occasions. SweetPea Gift Shoppe is an all volunteer staff and a 501(c)3 non-profit organization benefiting Sonoma County Seniors, new volunteers and consignors always welcome. A 501(c)3 non-profit organization benefitting Sonoma County Seniors.